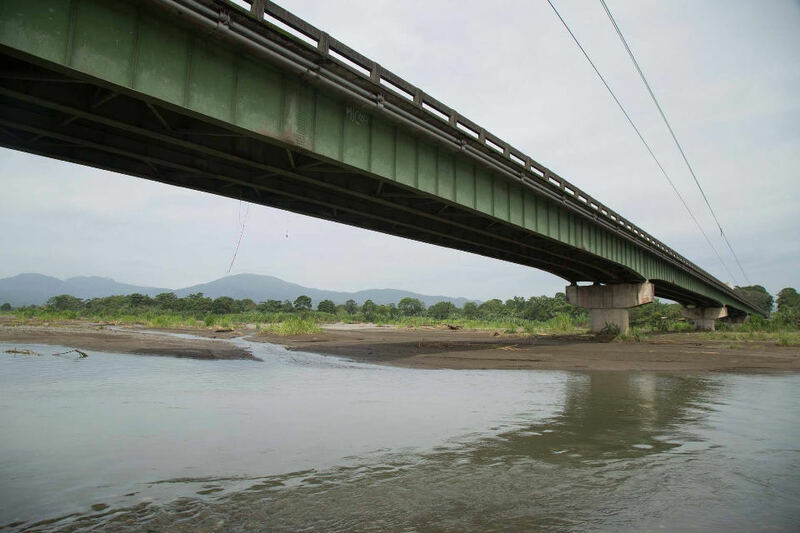 The superstructure over the Chirripo river on the Ruta 32, the San Jose – Limon highway. 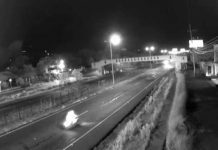 (QCOSTARICA) – The Ministry of Public Works and Transportation (Ministerio de Obras Públicas y Transportes – MOPT) , said this week the bridge over the Chirripo river on the Ruta 32 is sound, totally contradicting the statement of last year, when it said the bridge in bad shape. 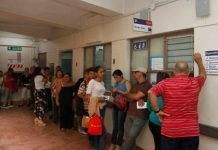 Based on the MOPT statement, in the first days of the Luis Guillermo Solis administration in May 2014), the President signed a decree giving some 12 bridges and culverts priority for their sad state of repair. The Chirripo bridge was one of the priority works. 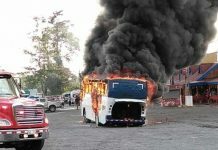 So, today the MOPT calls the fears and alerts about the alleged collapse of the structure, “unfounded”. In fact, this is all confirmed by the experts of the National Council (Consejo Nacional Vialidad – CONAVI), a division of the MOPT, who were able to determine that the foundations of the structure are good and problems of the structure are limited to the top of the bridge (pavement). 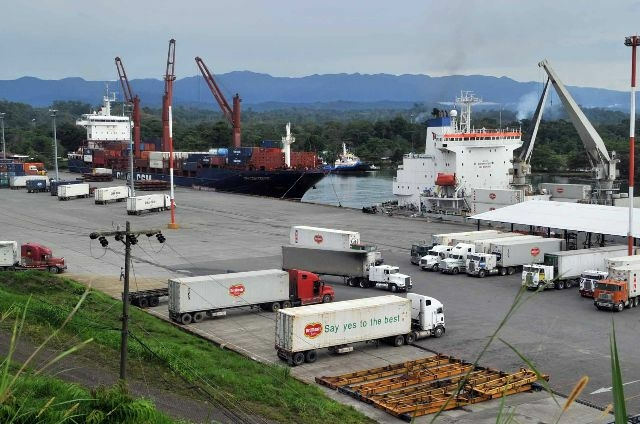 This determination comes at a time when improvements to the Ruta 32 are being discussed with the Chinese company, CHEC, who will be improving and expanding the San Jose – Limon road. Of course the Chinese are in disagreement with the MOPT. 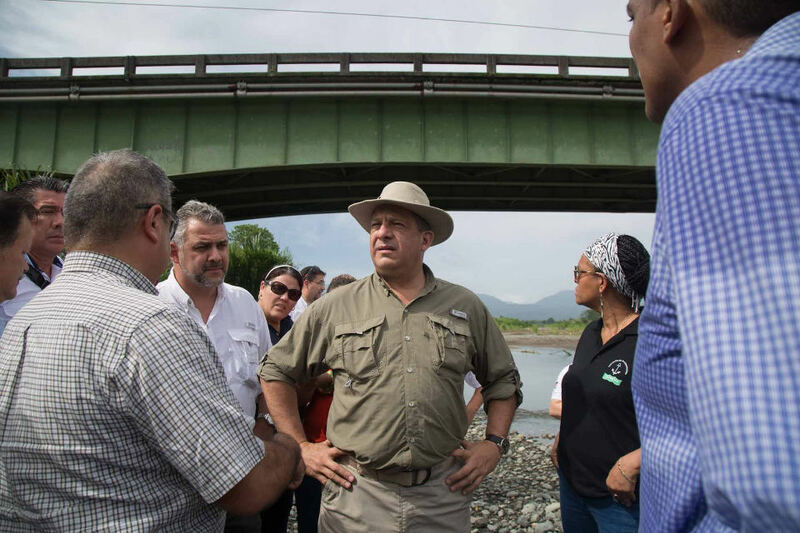 President Luis Guillermo Solis (wearing a hat) and his public works and transport minister, Carlos Segnini (to the right of the President, in a beard), personally inspected the bridge this week on a tour of Limón. The position of the Chinese company is backed by a report by the National Laboratory of Materials and Structural Models (Laboratorio Nacional de Materiales y Modelos Estructurales – LANAMME) who said in December 2014 that the bridge is vulnerable. The LANAMME has stated the same conclusion in its previous reports. Roy Barrantes of LANAMME explained that after the 1991 earthquake, the bridge suffered damage and needs repair, and though he emphasized that the bridge will not collapse, he did highlight that the damage goes beyond the surface, also present is corrosion, position displacement and damage to the supports. Previous articleGovernment Wants ICE To Build Roads and Bridges. Could It Be Possible?